I am so lucky to be able to receive complimentary samples of new Valentia Skin Care products as they come out to review on my blogs. This is the second serum I am writing a review for from the company, Clear Lift Revitalizing Serum. I'll just tell you right now that I love it like I love the Royal Rose Hydrating Serum I wrote a review for last week on my other blog, Fashion’s Sense. I've only been using this product for two weeks. However, I have noticed that new acne scars have already begun to heal. My skin feels softer after applying the serum to my face. So far I like it. As with all skincare products, it will take more than two weeks to see the full benefit of this serum. So far, I love it for what it is doing with new acne scarring. 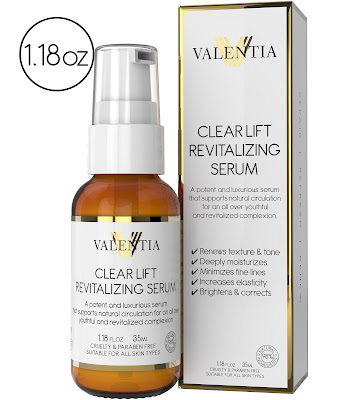 I use Clear Lift Revitalizing Serum in the evening before bed. After I cleanse and tone, I squirt two pumps of the serum into the palm of my hand. I rub my palms together and smooth serum over my face. I wait a minute so the serum can fully absorb into my skin, then I apply a night cream. 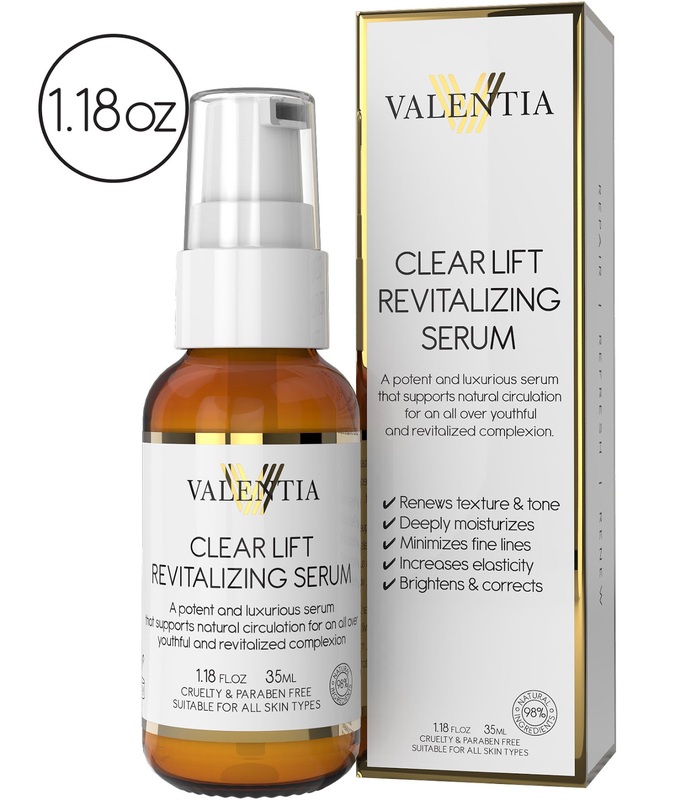 I just let you know how my skin has benefitted from using Clear Lift Revitalizing Serum now learn more about the product. This serum is formulated to support natural circulation in the skin to promote an "all over youthful and refreshed complexion". More specifically it meant to moisturize, improve texture, minimize (not remove) fine lines, brighten complexion, and even out hyperpigmentation. Argan Oil: Naturally rich in Vitamin E, this oil reduced water loss and protects skin's resiliency and elasticity. Check out The Fashion's Sense Blog on Instagram for updates on how well this product is working on my skin. I received a sample(s) of the product(s) to keep for consideration in preparing this content.